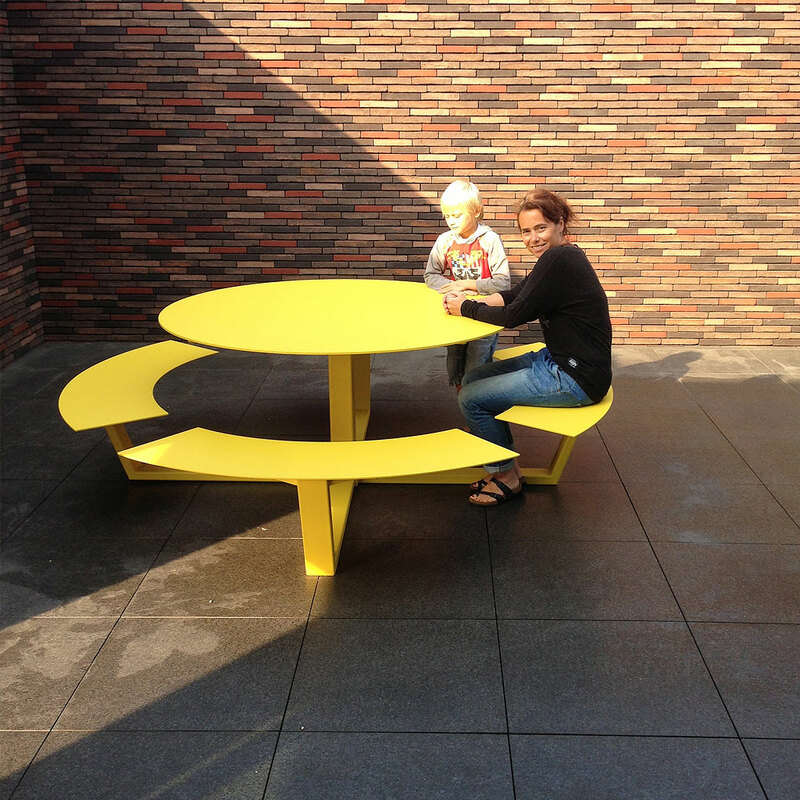 Modern Design Garden Tables. Top European Brands, Premium Quality. Whether you’re looking to entertain family and friends around a chic modern garden dining table, or if you want to buy a premium quality contemporary exterior coffee table, Encompass have a wide range of options, from top European garden furniture brands, including Royal Botania, FueraDentro, Coro, Talenti, Fixform, Roshults, Conmoto, Vondom, Viteo and many more. 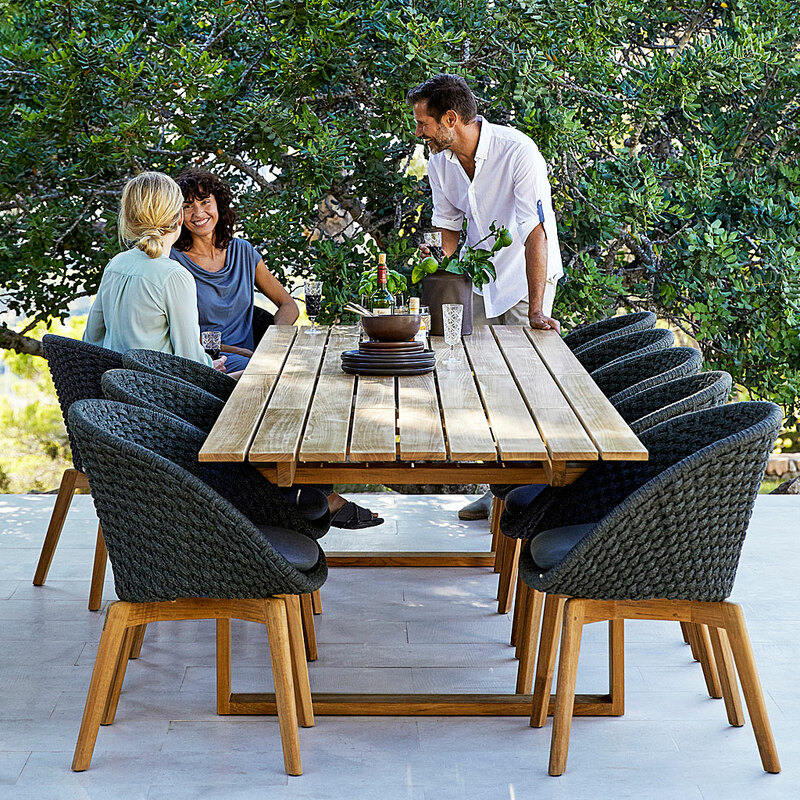 Browse our luxury garden dining tables – we supply many different formats, including rectangular & square garden dining tables, circular & oval modern garden dining tables, as well as contemporary extendable garden dining tables, and lastly modern garden coffee and lounge tables. All of our modern garden tables are made to the highest standards, using only highest quality materials, including stainless steel, electro-polished stainless steel, powder coated stainless steel, powder coated aluminium, galvanised steel, Corian©, premium teak, ceramic, toughened glass, Belgian bluestone, High Pressure Laminate (HPL), polyethylene & iroko hardwood. These premium materials ensure a lifetime of enjoyment & use, with minimum maintenance. Encompass Furniture supply high quality modern garden tables for private homes and gardens, restaurants, hotels, spas and super yachts in the UK and internationally.